BR #1: Ground level, king bed, sleep sofa, private bath, ocean view, sliding glass door to pool/patio area. 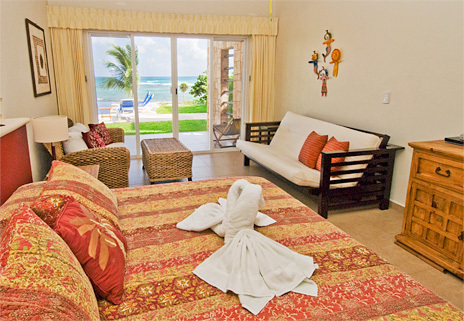 BR #2: Ground level, king bed, sleep sofa, private bath, ocean view, sliding glass door to pool/patio area. 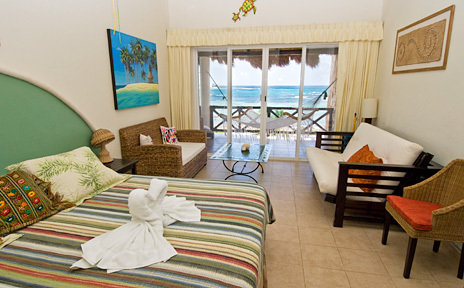 BR #3: Second level, king bed, sleep sofa, private bath, ocean view, sliding glass door to patio. 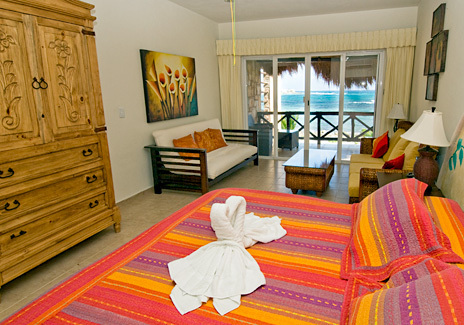 BR #4: Second level, king bed, sleep sofa, private bath, ocean view, sliding glass door to patio. 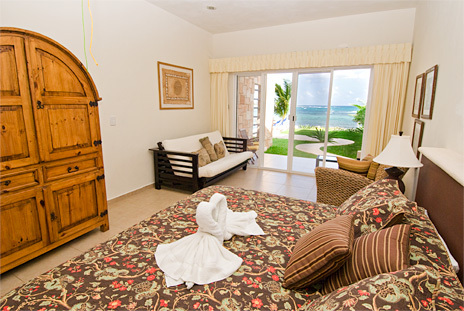 BR #5: Second level, king bed, sleep sofa, private bath, ocean view, sliding glass door to patio. 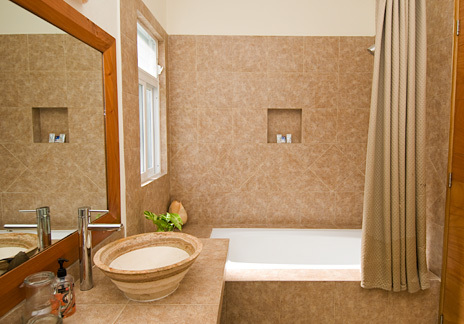 BR #6: Second level, king bed, sleep sofa, priate bath, ocean view, sliding glass door to patio. Max. 18 (infants under the age of 24 months are not counted in max. occupancy). Rate does not include 19% tax. Rate based on 10 guests. For over 10, add $500 per extra person or $250.00 per child 9 yrs and under. Infants 24 months and under are free and do not count in the max. occupancy. 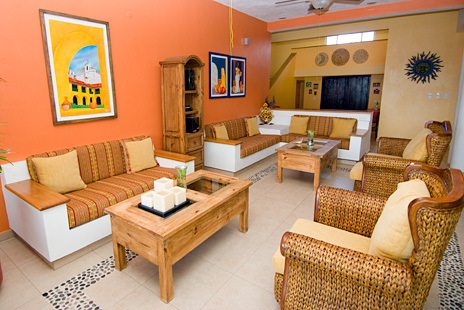 Holiday and high season reservations require a 7 night minimum. 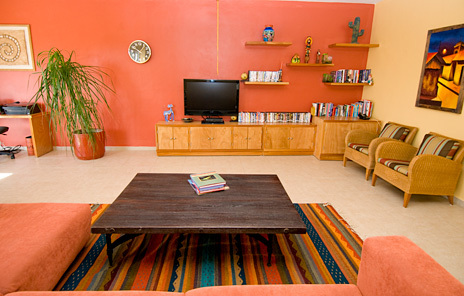 Mid and low seasons require minimum 5 nights stay unless otherwise agreed. Events for up to 25 guests including those staying at house: US$500 paid prior to arrival along with reservation balance. No additional security deposit as they are already paying US$1000 security deposit for the house rental. Events for 26-50 guests including those staying at the house: US$1000 paid prior to arrival along with reservation balance. Extra US$1000 returnable security deposit in addition to the US$1000 security deposit they are already paying for the house rental. 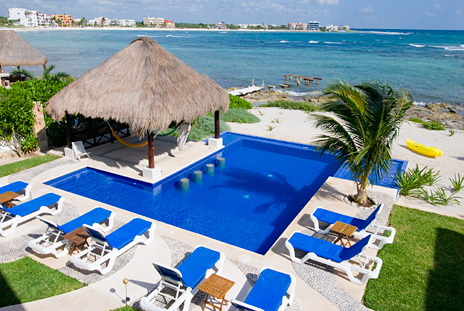 Here's a super Akumal vacation rental property for a large group! Valhalla, completed in 2008, is a crowd pleaser with 6900 square feet. 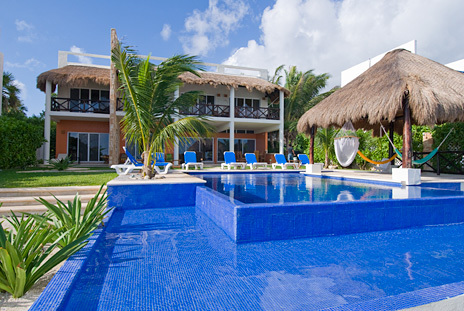 This new vacation rental villa in Akumal can sleep up to 24 guests (up to 18 adults or 12 adults and 12 children). 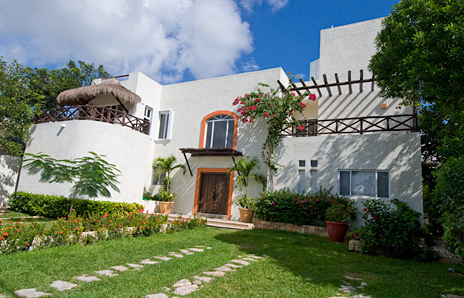 Valhalla vacation villa is positively unique in the village of Akumal with six spacious master bedrooms. 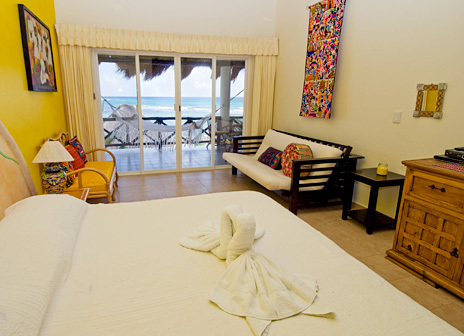 All of the bedrooms are equal in size and amenities and views. 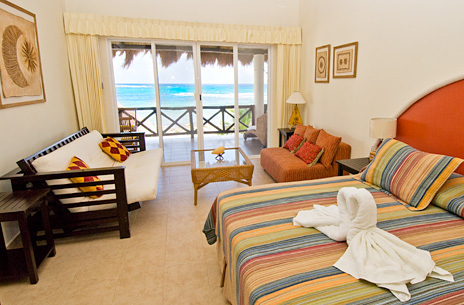 All have ocean views, balconies or terraces, and the option of either twin beds or king beds. Each bedroom also has a queen sized futon making great extra sleeping space for kids for adults. 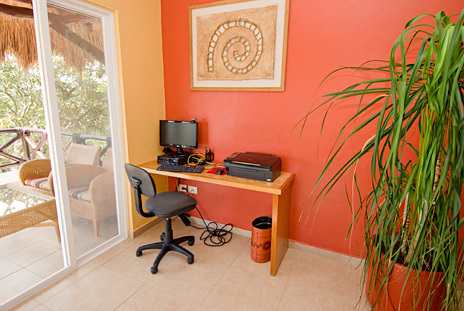 All bedrooms have air conditioning, guest safes, and high speed internet ethernet ports. There is also Wi-Fi throughout the house if your computer is wireless enabled. 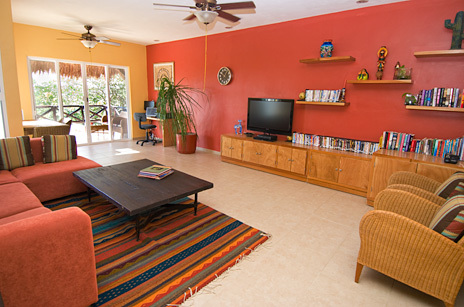 In addition, Valhalla is also one of the only houses in Akumal that is wheelchair friendly with one of the two downstairs bedrooms designed with wider door frames and shower space to accommodate wheelchairs. 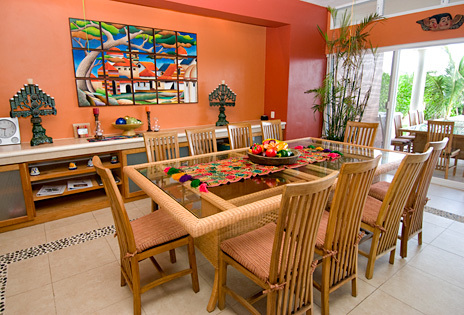 INDOOR LIVING AREAS: There is a large living area on the main floor adjacent to the dining area. 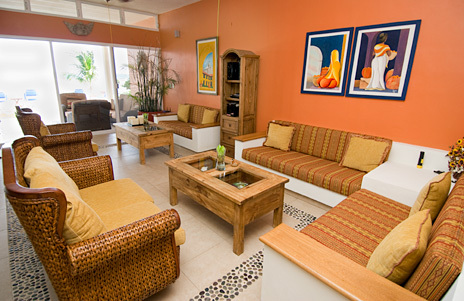 This area is furnished with multiple sofas and accent chairs. A wall of glass provides wonderful views of the pool and the Caribbean and sliding doors lead onto the patio. On the second level is a TV and entertainment area with comfortable seating and a 42" flat screen Satellite TV with DVD and a stereo system with iPod dock, USB port and CD player to play any MP3 device. There are speakers in the living areas, the outside terrace, and also by the pool. Also in this area is a business center which includes a computer, internet, copier, printer and scanner. DINING AREAS: Inside dining room on the main level seats 10; there is additional seating for 2 at the kitchen counter. 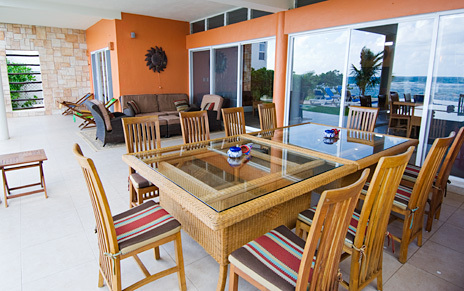 An outdoor dining area is directly opposite the indoor area via sliding glass doors. The outdoor dining area can seat 10. And, yes, there's a BBQ grill for group cookouts. 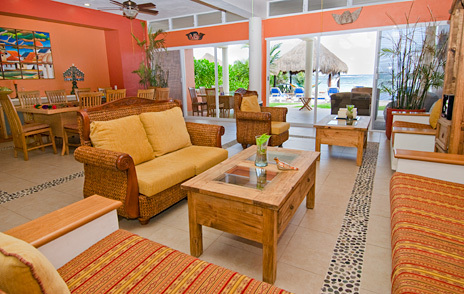 OUTDOOR LIVING AREAS include two large oceanfront patios running the entire length of the villa. 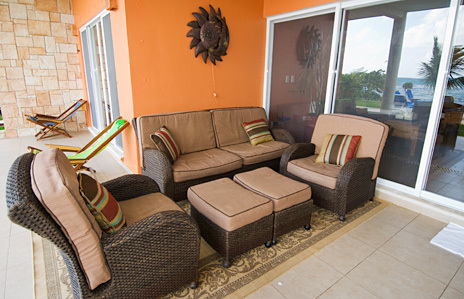 The first level is where you'll find the outdoor dining area plus a seating area. 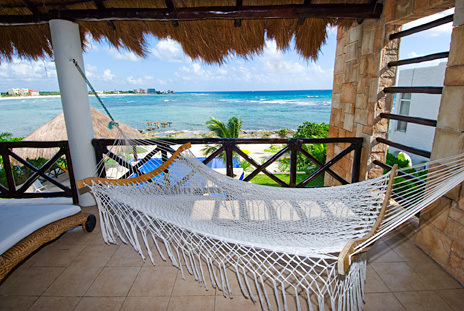 On the second level patio are several lounge chairs and hammock. 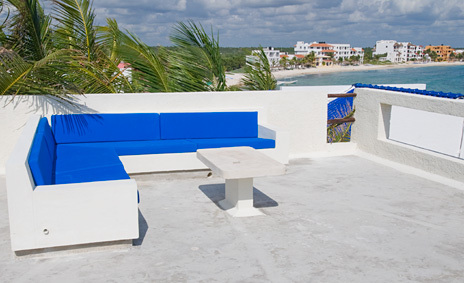 Rooftop has a built-in sofa plus sun pad for sunbathers. 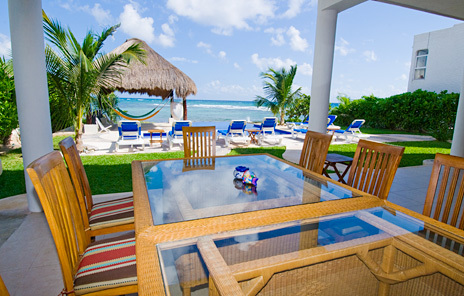 In the evening, pour a round of margaritas and watch the stars in the sky overhead. Early birds should bring their morning coffee to the rooftop to watch the stunning sunrise over the bay. 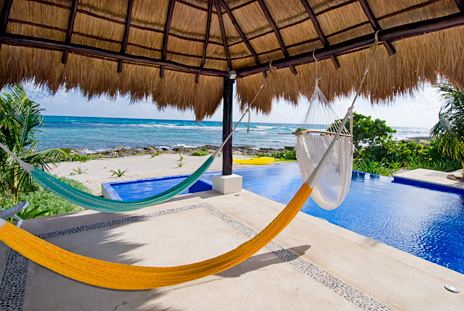 Outdoors along the ocean is a poolside palapa with multiple hammocks for lazy day lounging. Climb in with a cool drink and a good book, swinging in the breeze and listen to the waves as they gently lap along the shore. 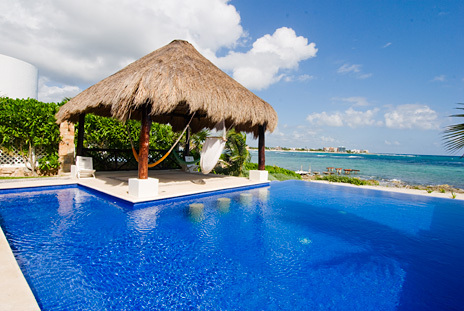 If you prefer more activity, slip into the great fresh water infinity edge pool for a refreshing swim; and how convenient that the pool as swim-up stools so you can enjoy a cocktail without leaving the pool. The pool also has a shallow end for the kid. 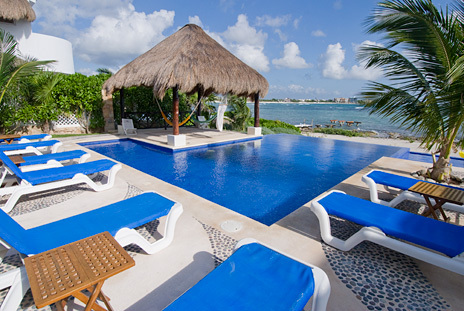 Relax and catch some rays on one of the many lounge chairs by the pool or on the sand beach area. And don't forget the snorkeling opportunities in Akumal Bay. 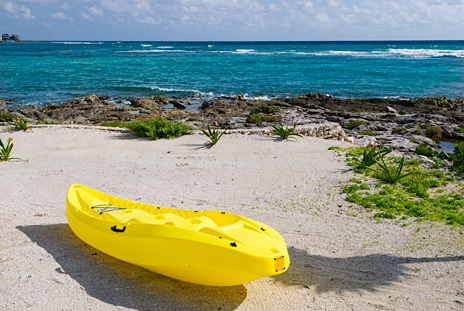 Villa Valhalla also provides two sea kayaks so you can take a cruise in the bay. 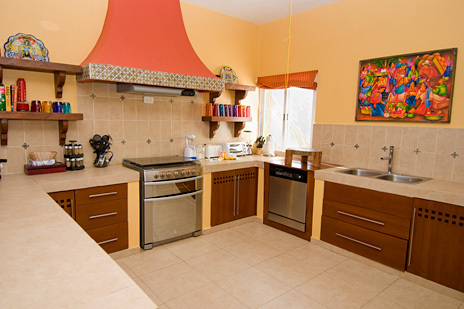 Valhalla vacation rental villa really offers everything for the perfect vacation for a large group of family or friends. 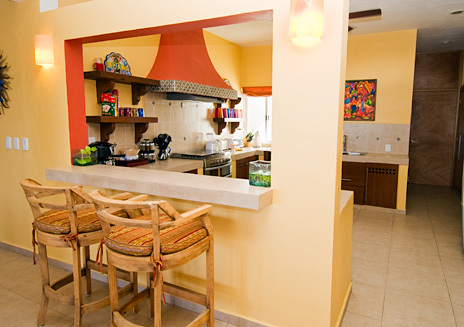 It also serves as a venue for weddings, celebrations, gatherings, courses or workshops and reunions with friends.